This morning we had our final Circle Time where we shared our favourite moments of the year. Miss Williams made us a special video of the wonderful times we have shared this year. We have had an amazing year together and everyone has learnt so much. 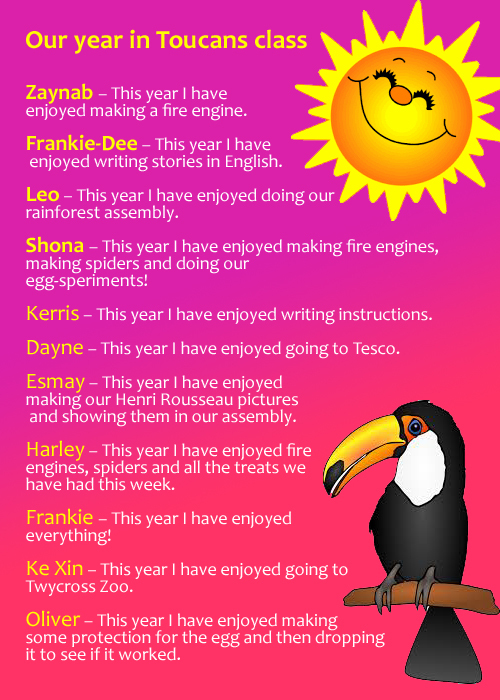 Well done Toucans! Your teachers are very proud of you and will miss you very much next year.